Sara Ali Khan is one of the young Bollywood actresses who is trying to make an impression like her parents. She is the daughter of Amrita Singh and Saif Ali Khan. She started her career with Abhishek Kapoor's Kedarnath. 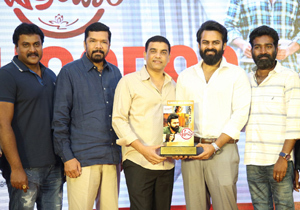 The movie completed shoot and it is set to release in December, this year. Along with it, she is also acting in Temper remake, Simmba, with Ranveer Singh in the direction of Rohit Shetty. Now, she is suddenly seen shopping at Charminar in Hyderabad, with her mother, Amritha Singh. 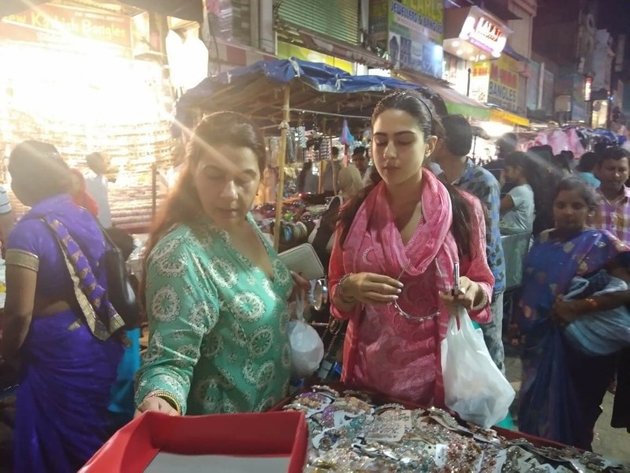 She is shooting for Simmba at Ramoji Film City in Hyderabad and she must have decided to enjoy the Ramadan atmosphere in Old City. She even did her Dinner at a near by restaurant and looked like a typical Hyderabadi Nawab girl, on Hyderabad streets.